Rising-star bassist, Mark Lewandowski brings together two of the most highly respected musicians on the UK jazz scene to explore the catalogue of one of the most nostalgic early innovators of jazz – the great Thomas ‘Fats’ Waller. They will be delving into Waller’s music and bringing their own personal spin on his repertoire using the intimate trio setting. Three musicians known for their intricate dialogues and strong humour, paying tribute to another musician who had these attributes. Mixing the traditional with the modern, this trio brings a little of 1930s Harlem into the 21st Century. 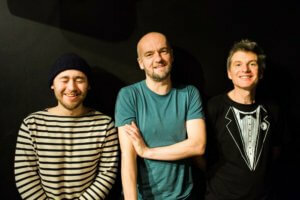 “Three musicians, closer to the cutting edge of jazz, have successfully brought Fats Waller’s 1930’s classics into the 20th century without, I would suggest, alienating purists or pathfinders. In his day, of course, Waller was indeed a pathfinder himself.